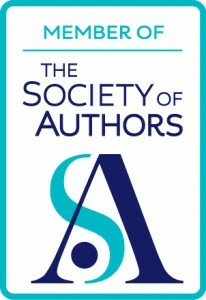 « HNS Short Story Award 2014 – a reminder! 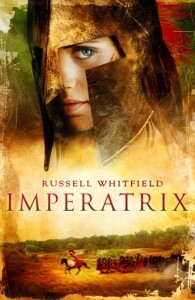 Today, I’m delighted to welcome Russell Whitfield (Just Another Freaking Roman Author or “JAFRA”). 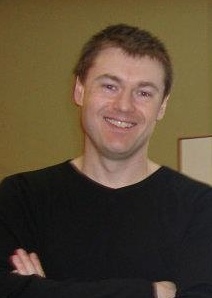 Russell was one of Roma Nova’s early supporters and endorsed INCEPTIO. 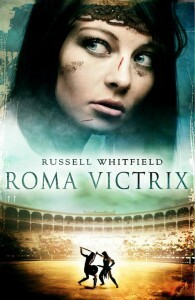 Gladiatrix, Russ’s first novel, was published in 2008 by Myrmidon Books. The sequel, Roma Victrix, continues the adventures of Lysandra, the Spartan gladiatrix. A third book is planned for release in 2014. 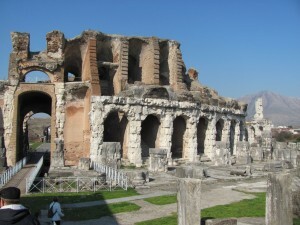 I understand from fellow Roman author Ben Kane that you’re going on a “boys’ own adventure” walk from Capua to Rome. Tell us more about the what and why! Well – last year, after a few too many lagers, Ben reckoned on that doing a team walk across Hadrian’s Wall – together – would be great. Tony Riches had done one before in full kit (the stuff that I ended up wearing in the end) and we foolishly agreed. It was really quite tough at times, especially if you’re a forty-something-fat-bloke and not a hard-as-nails-twenty-something legionary; physically taxing, but the trip was made much more bearable because we had real-life Indiana Jones Mike Bishop with us. Mike’s an eminent archaeologist and knows all there is to know about Hadrian’s Wall, so it was fascinating to learn about the sites as we walked along. As to the why, well – we support two charities – Médicins Sans Frontières (or Doctors Without Borders) and Combat Stress. They really are worthy causes, but to be honest, one of the most touching thing that happened on the Hadrian’s Wall walk was that we ran into a bunch of Gurkhas who were on holiday. They were really amazed that we were mad enough to do this to help a cause that was clearly close to their hearts. Also, a few months after the walk, I was watching the telly and there was a huge disaster in the Philippines. At the time, I was certain that I would never do another walk again, but as I watched the telly, the first people on the scene were Médicins Sans Frontières and I sort of realised that I had, in a tiny way, helped those guys. So I had to do the walk again after that. 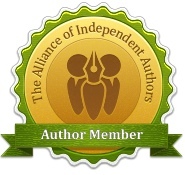 You and I met at the Historical Novel Society 2012 Conference and you very kindly endorsed INCEPTIO for me. I loved your Gladiatrix and Roma Victrix about a female gladiator. What are you writing now? No problemo, loved the book and I’m thrilled that you liked Gladiatrix and Roma Victrix too! I’ve written a few film scripts that we’re trying to get off the ground – they’re not historical, just some contemporary action stuff and couple of thrillers. It has been all consuming, though, and it kept me away from Lysandra and the arena for some time. However, I’m now working on Gladiatrix III – Imperatrix. which should be done by October this year. It’s actually great to get back into proper writing. Script-writing is a totally different discipline… which I didn’t know when I first started trying it out. I’m happy to be back with Lysandra and her friends. I’m trying to keep things fresh in this new book but at the same time retain the stuff the people enjoyed in the first two, but it’s turning into a slightly different animal. I guess it’s because the focus isn’t so much on arena fighting and training and that sort of thing. There still will be fighting and training though! Just of a different kind. Thank you, Russell, and the very best of luck with the walk. Now, the causes Russell mentioned are excellent ones and I’d encourage you to cough up a few pounds/dollars/euros at the official fundraising page. 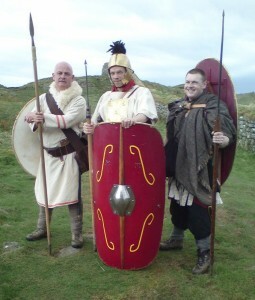 Russell has had an (almost) lifelong fascination with ancient Greece and Rome, sparked by seeing the The Three Hundred Spartans on ITV in the seventies. Educated to A-Level, he did not complete college, preferring instead to seek fame and fortune in a heavy metal band. Sadly, fame and fortune were not forthcoming and a career in telesales beckoned. A series of jobs followed culminating in the heady heights of ‘content editor’ for a large multi-national. Gladiatrix was Russ’s first novel, published in 2008 by Myrmidon Books. 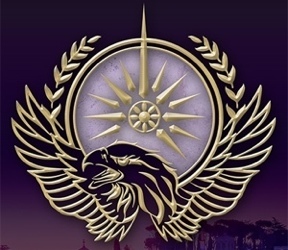 The sequel, Roma Victrix, continues the adventures Lysandra, the Spartan gladiatrix, and a third book is planned for release in 2014. In an attempt to stave off an ever increasing beer-gut, Russ trains in the martial arts, but his training thus far has left little impression on said gut – or his class mates for that matter. Heavy Metal is Russ’s music of choice, though he was also in a goth band and thus has the obligatory Sisters of Mercy and Mission CDs in his collection and photographs of Russ with dubious hairstyles have emerged on the internet. He is a huge fan of the Swedish band Hysterica (www.hysterica.se) and has written a song for their album The Art of Metal. 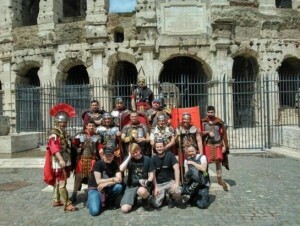 UPDATE: They reached Rome and here’s the picture to prove it! I spoke to Ben Kane on 12 June and he reported they’d raised over ££16,321, and counting.. I enjoyed the blogpost. Russell sounds like a fun person, slightly reminding me of Bill Bryson when he did his ‘Walk in the Woods’ with his out-of-condition friend. I think they’re all a touch mad, but I greatly admire them!